Visits to a private golf club can cost Florida taxpayers almost $ 6 million a year. Authorities close airspace, block roads and send special services; Police and firefighters are required to expand contingent. 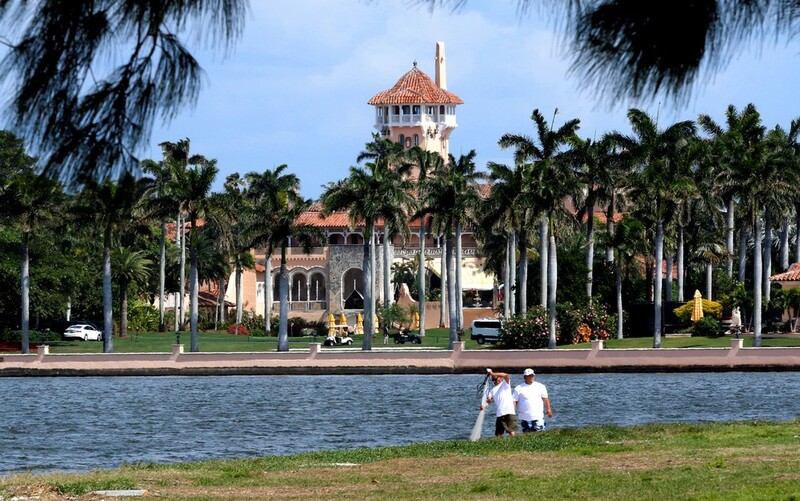 Since Donald Trump took over the presidency of the United States and turned his Florida mansion into a "Winter White House," local authorities have asked him to reimburse the cost of his visits to Palm Beach County. Now you are asked to pay or stop going. "We understand that the president wants to come here. It's a paradise, right?" - said Florida congresswoman Lois Frankel during a press conference outside the Trump club garden. "What we ask, again, is to help us get a refund for this county and this city." Or, instead of going to his golf club and private residence in Mar-a-Lago in Palm Beach, Trump "could go to Camp David and limit spending in our area," he suggested. Frankel is backed by Jeri Muoio, mayor of West Palm Beach. During "the weekends the president is here," the official said on Monday, "Police and firefighters have to work [with a contingent of] 120%. This means more hiring and overtime pay." Every time Trump goes to Florida, the authorities close the airspace, cut off some roads, send special services, and deal with protesters for and against the president. And to top it off, "Trump and a large Chinese delegation will be here next week," Paulete Burdick, Palm Beach Mayor, told AFP on Tuesday. Although Burdick and other officials asked the federal government two weeks ago to reimburse Trump's high-spending visits, "we have not heard of them," she said. The Trump-Xi Sea-to-Lake meeting will cost $ 280,000, Democrat representatives Lois Frankel, Alcee Hastings and Ted Deutch, all three of Florida, warned in a letter sent to Trump Thursday. "The county estimates that [throughout the year] its visits will cost between $ 3.3 and $ 5.8 million," the reps wrote. If the federal government does not grant Palm Beach County any compensation, "we respectfully ask you to reduce your visits until the matter resolves favorably for our area," Congressmen wrote to Trump.